Bub’s due in a week or so and it’s suddenly dawned on me that I have lots of piles of fabric and wool but not a lot of actual baby things to show for them! Time to get cracking. 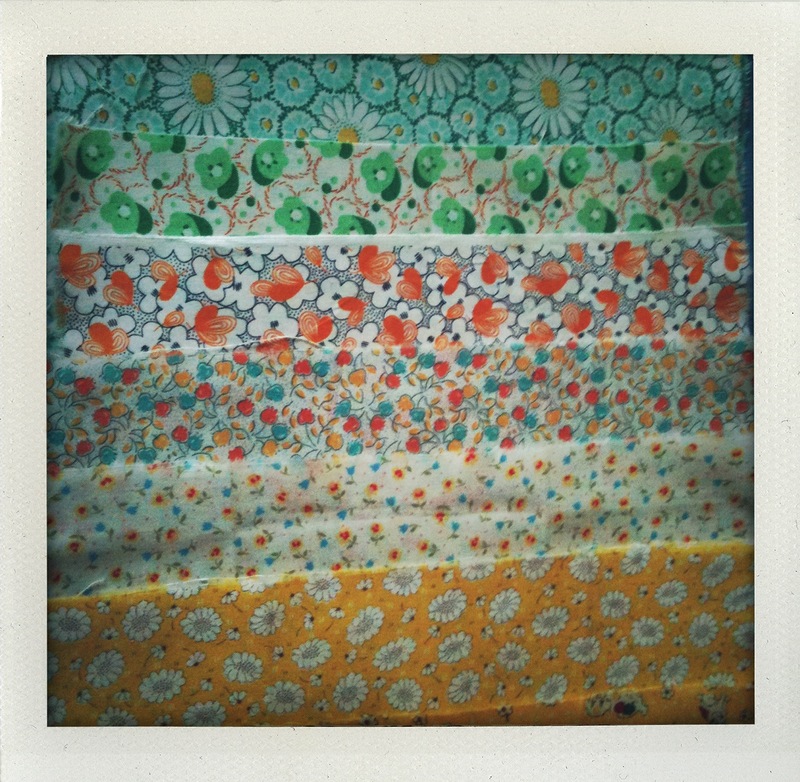 This is just a very small selection of fabric waiting to be something! Oh my goodness…. I can’t believe it. That 9 months went by really fast. Good luck to you. I’ll be watching for the announcement. A little redhead maybe? P.S. I love those crocheted circles – your “newest hobby”. Very good job. It has gone fast hasn’t it! I’m hoping for a dark haired bub like my husband, but we’ll see! I can’t wait to actually finish those crochet circles – they’re eventually going to be hexagons and make a blanket! Best wishes as you prepare for your first face-to-face meeting with your new little person!